Tractor-trailers, also called 18-wheelers or big rigs can be as heavy as 100,000 pounds. It is no big surprise that they are dangerous when on the move on Georgia expressways and roads. The ability of the driver, traffic conditions, weather conditions, security of the load being transported and the vehicle’s size are all elements that can add to safe operation of these massive trucks and vice versa. A trailer coming free while a truck is on the move is an uncommon yet possible lethal accident type. Some other truck accidents are intersection T-bone accidents and backside crashes with motorcycles, buses and cars. Whether a tractor-trailer rolls over while making a fast turn, collides with a guardrail on an interstate highway bridge, rolls over while circumventing a bend or collides with several vehicles halted by fog, serious injuries and deaths are always the outcomes of truck accidents in Atlanta, GA.
Irrespective of who got injured, a thorough investigation is always carried out after a truck accident in Georgia. The quicker the investigation commences, the quicker compensation can be obtained. On the off chance that you were harmed or if a relative of yours died in a truck accident, the result of your case may rely upon how quickly you have an experienced Georgia truck accident lawyer on the case. A near accurate account of how the accident occurred is gotten when testimonies from eyewitnesses, the wrecked car, tire marks on the pavement, the tire treads and the driver’s log are all considered. These put together makes it easier to successfully and quickly obtain a claim for an Atlanta truck accident. Based on the statistics provided by the Center for National Truck and Bus, there are 5,061 trucks involved in deadly traffic collisions every year. Georgia positioned as one of the top 3 states in the United States for the highest records of truck accidents. The greater part of these deadly accidents had to do with semi-trucks and tractor-trailers. Another cause is from truck driver fatigue. At our law office, our Atlanta truck accident lawyers give expert and compassionate representation to families who have lost one of its members in a truck accident within Fulton County and beyond. Families still mourning may not be in the right position or mindset to pursue claims for wrongful death; thus, we will do that for them. Our attorneys will work diligently to guarantee that you and your family get your deserved compensation. The financial burden that may arise as a result of this demise can be lessened by the money received as compensation and can be used to clear health bills, burial expenses and the lost wage of a family’s bread winner only to name a few. We dedicate ourselves to representing you and your family against insurance firms, interstate truck firms and other major firms. 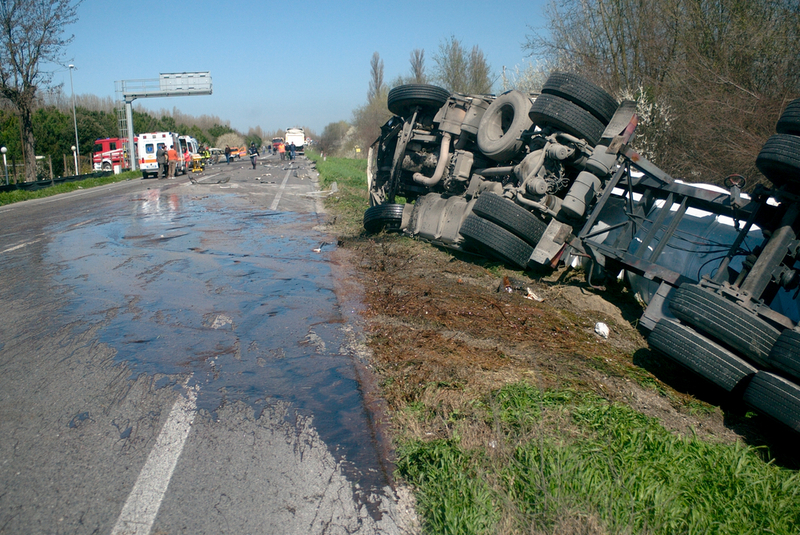 Book an appointment to discuss issues pertaining to fatal truck accidents with our lawyers today. All our Georgia truck accident attorneys have significant court experience. We tried several of these types of cases in front juries, and we set up each case as though for trial. Book an appointment with Our Licensed Fulton County Personal Injury Attorneys free of charge. All you have to do is contact us online or call us at 844-428-4529.